Pleasing our guests is the most important service we offer. 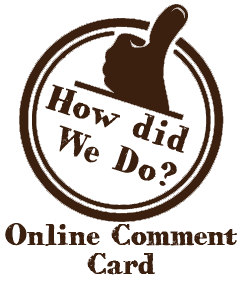 You can help us maintain the finest quality and service by answering the following questions. Please let your name, phone number and email address so that we may follow up with you.